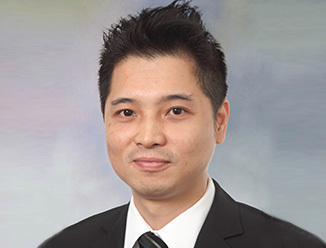 Philip Lau is responsible for establishing, promoting and maintaining a safe and hazard free working environment for Facilities Management of Global Workplace Solutions​ across Asia Pacific. He has over seven years of experience in quality, environmental, health & safety (EHS) fields in engineering and facility management service industries. Prior to joining CBRE, Philip was the Manager, Quality & EHS of Johnson Controls HK Limited where he had full responsibilities in the establishment, implementation and maintenance of the Quality, Environmental, Occupational Health & Safety Management Systems for all lines of business in Hong Kong and Macau. This include the installation and maintenance of building automation, energy management, fire, security, electrical, mechanical & HVAC systems and facility management services. He also assisted the company to accredit international recognized management system certifications such as ISO 9000 & OHSAS 18000. Philip was the Regional EHS Leader for Greater China, member of corporate safety steering committee, vice chairman of Hong Kong safety committee and Lead Auditor for the above systems. His most recent position was Quality & EHS Manager for Greater China at Sodexho.